Tank :35gal 24x24x14 shallow cube 1/2" starphire glass, kessil A360/controller, hob skimmer, vortech mp10, lps, sps, zoas, gorgonians. 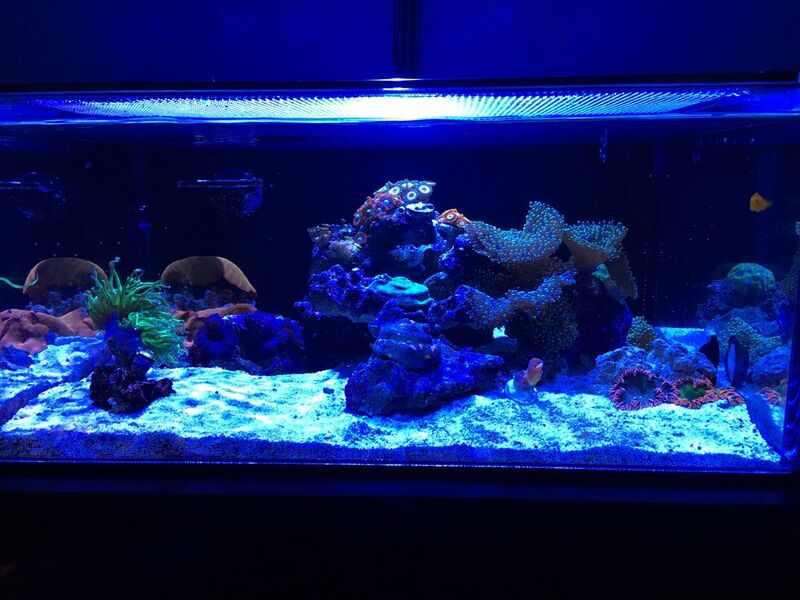 Images are from member jneal 10 gal nano all in one tank. 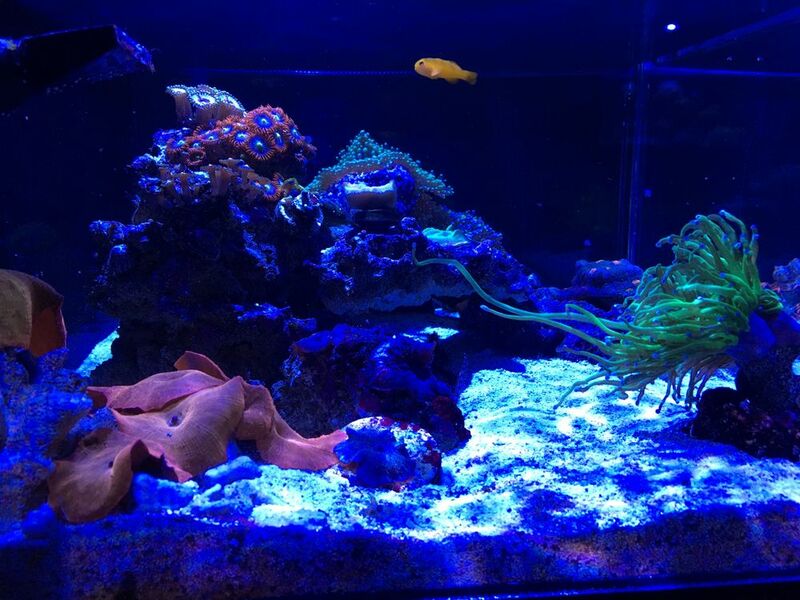 He hasn’t posted anything since becoming a member and i asked if i could show his tank. He agreed. Very simple set up. 10gal frag tank. 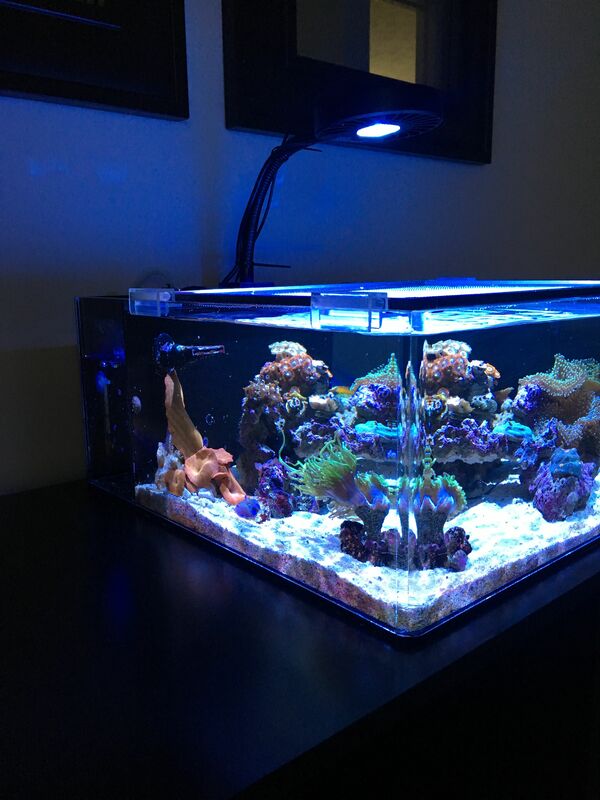 Mechanical filtration, heater and return pump, a80 kessil light and ato. No skimmer (nothing fits) Corals include ricordia, zoas, miami chalice, rainbow chalice, purple rhodactis, blue discosoma, metalic orange discosoma, teal/green favia, sun coral and jfox Brain freeze. 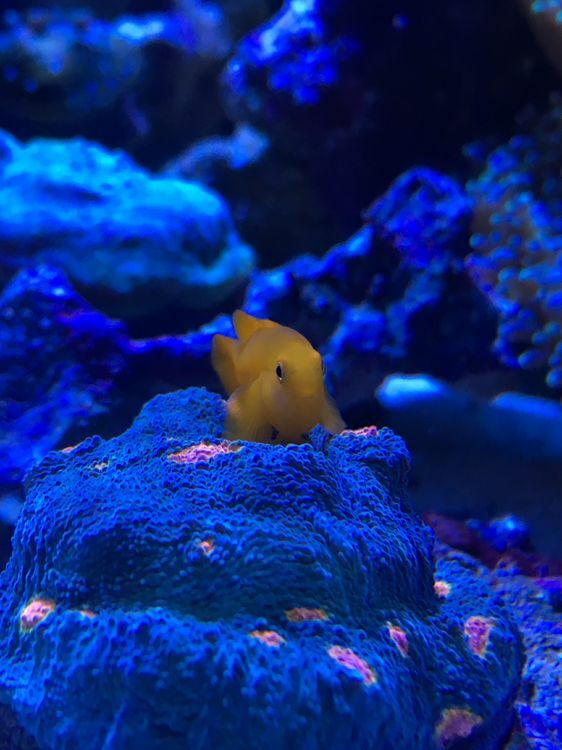 One fish, yellow goby. Black brittle star thats outgrown the tank, limpet, astrea snails and emerald crab. He does 1-2 gal water changes 2-3 x’s per month. Parameters are all in ck. Nice looking tank, and it does look larger than a 10 gal. I love clown gobies, they are so cute. Looks great! What type of tank is it? I'm running a AIO 10 gallon, and I've never seen one that looks like that. Very cool. 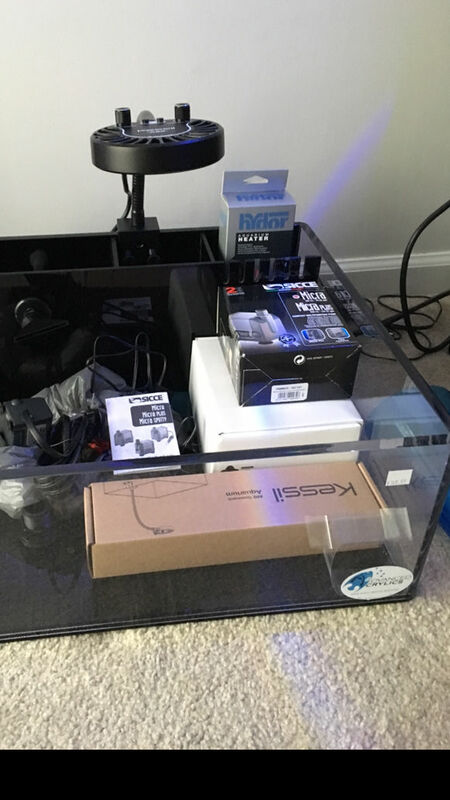 It’s actually a frag tank like what you see at a swap. Shallow. Don’t recall manufacturer, but purchased at cia Here is another pic. Running about one year.